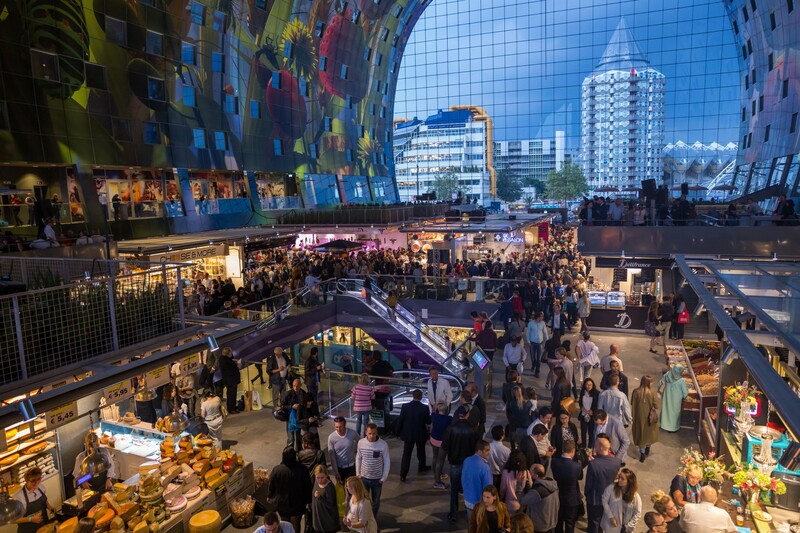 The new Rotterdam food market is set to become a destination for foodies around the world. 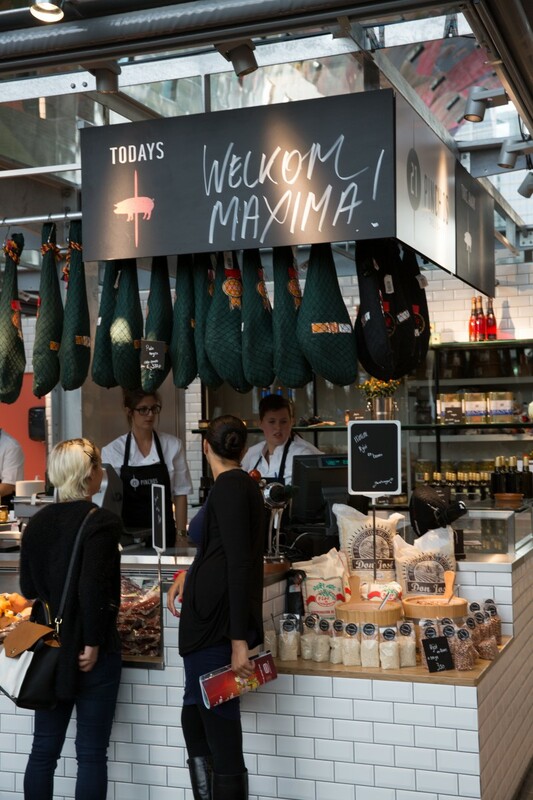 Inspired by some of the best food markets in the world, it is being called the food walhalla of the Netherlands with 96 booths selling daily fresh products. It is open seven days a week under one roof in a shopping hall that is underneath what is being considered as the biggest artwork in the world. This indoor market opened its doors earlier this month. It is the first covered market hall in the Netherlands and the facility is expected to attract between 4.5 and 7 million visitors each year. The stunning architectural design in the shape of a horse shoe has a steel cable facade which is the largest of its kind in Europe. A colourful mural depicts a composition of produce on the hall’s barrel shaped ceiling. It has been designed by architects MVRDV and is located in the city centre of Rotterdam. The roof is shaped by an arch of 228 apartments. This combination of market and housing is the first of its kind in the world. The market is already creating buzz despite having been open for less than a month. 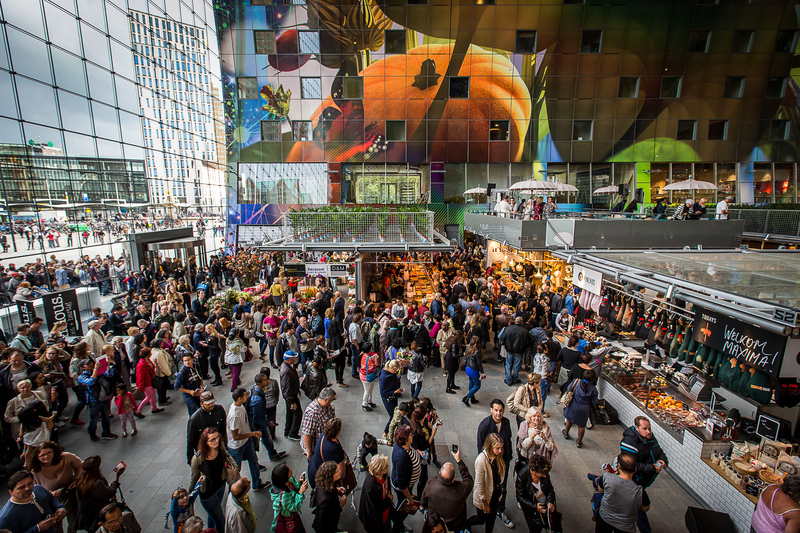 On Tuesdays and Saturdays, the largest outdoor market in the Netherlands is held right in front of the Markthal Rotterdam. A quarter of the market is made up of food stalls so it is indeed a further reason for foodies to visit. 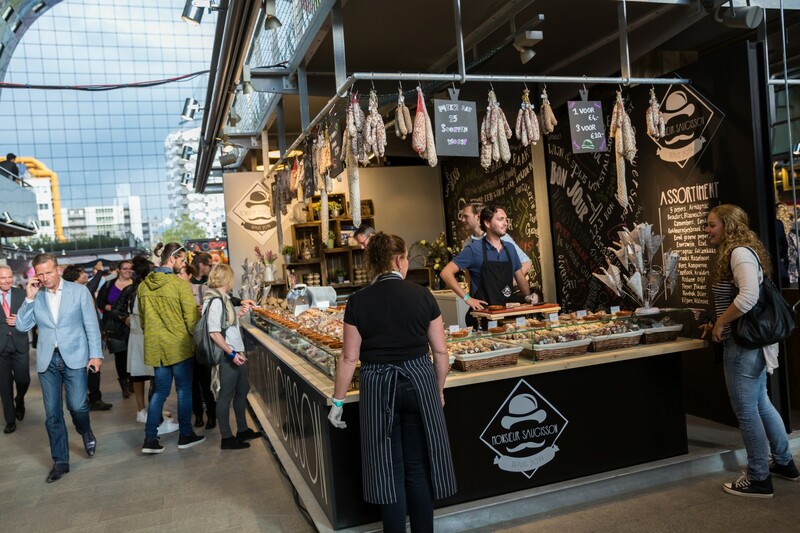 Vendors offer a diverse range of regional and international products such as fresh fish, poultry, cheeses, vegetables and fruit as well as a wine shop. There is also a “World of Taste”, a centre for education, information and innovation in the field of healthy eating. We hope to visit this architectural gem and food market shortly and bring you further information about this destination in the coming weeks. The Martkhal is open from Mondays to Saturdays from 10am till 8pm and Sundays from 12pm till 6pm with extended opening times for the restaurants. Photos courtesy of Rotterdam Markthal.